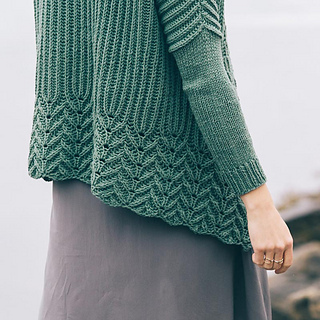 Brioche fanatic Bristol Ivy does it again with Burke, a brioche-rich landscape of lines and patterns in Lark. 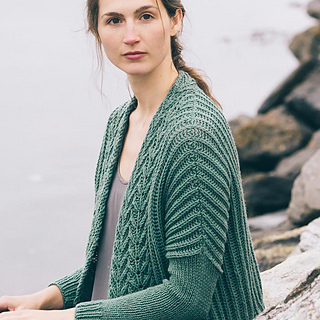 This cardigan’s predecessor, the Lisse shawl, showcased the buoyant nature of these motifs, and we’re overjoyed for their return in cardigan form. 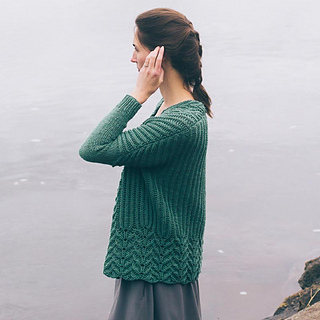 Long-tail and cable cast ons, three-needle bind off, wrap and turn short rows, seaming, brioche knitting (links provided), increasing, decreasing, knitting in the round. Charted and line-by-line instructions provided.